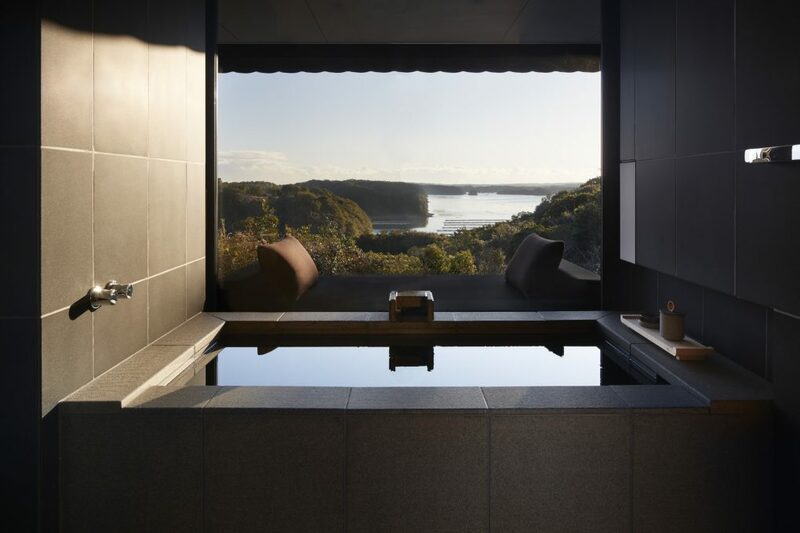 This week marks the opening of Amanemu, a hot spring resort located in the idyllic setting of Ise Shima National Park on the shores of Ago Bay, Japan, and Pursuitist has a first peek! 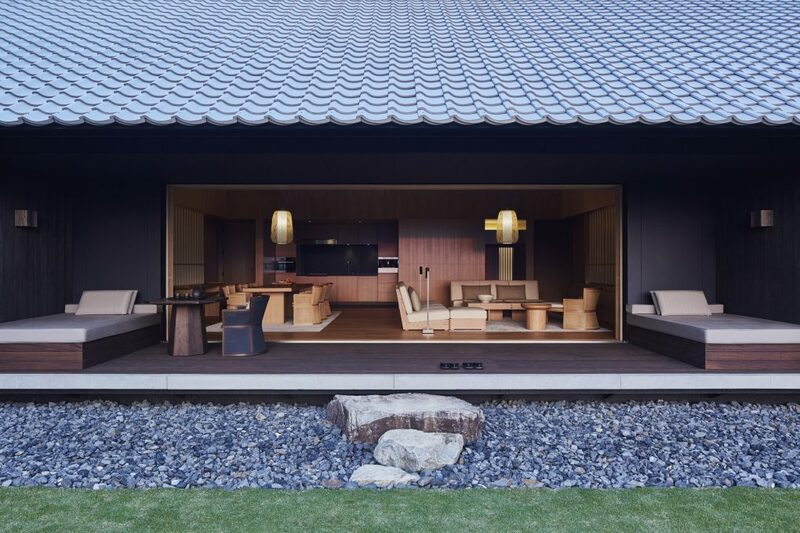 The rural complement to Aman Tokyo, Amanemu adopts a classic Japanese aesthetic in the ryokan tradition with each of the 24 suites and four two-bedroom villas featuring their own onsen. A relaxed, peaceful and contemplative destination, Amanemu embraces ‘omotenashi’, the Japanese welcoming spirit blending with warmth and respect. Further illustrating Aman’s ethos of adopting the customs and heritage of the location in which it operates, Amanemu has also embraced one of the most important Japanese traditions relating to ryokan hospitality – which is that it is run by an ‘okami’, a female manager, whose role is central to the carefully honed art of Japanese hospitality which pays close attention to detail and is committed to anticipating the needs of the guest. 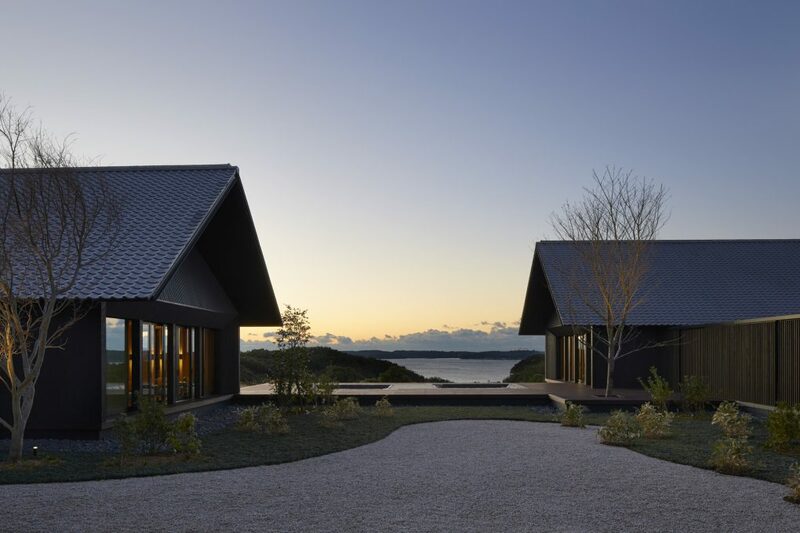 Designed by the same team behind Aman Tokyo, Kerry Hill Architects, the architecture of the resort is based on a contemporary interpretation of Japanese Minka buildings, which incorporate traditional low-slung tiled roofs and dark-stained Japanese cedar exterior walls, reflective of the simple nature-influenced design of ryokans, Japan’s traditional bathing retreats. The resort’s winding driveway, leading to the welcome pavilion, curves up a small hill lined with maple and cherry trees, setting the scene for the rest of the property, rich in greenery and Japanese foliage. The resort is accented with traditional Japanese art, namely intricate Kumiko artwork developed in Japan in the Asuka Era (600-700 AD) and passed down through generations of craftsmen. In addition, the spa and two-bedroom villas feature unique pieces of artwork by Japanese Kimono and Obi artisan, Genbei Yamaguchi, who hails from a family at the helm of obi making for over 270 years in Kyoto. The spa is also a highlight. Heavily influenced by the abundance of natural hot springs and therapeutic powers of water, the 21,527-square-foot spa encompasses a large central onsen for communal bathing, plus two private spa pavilions each with their own indoor and outdoor onsen, perfect for easing muscles after a day of trekking the historic pilgrimage routes that the region is renowned for. There is also a state-of-the art fitness center, Watsu suites and an expansive glass-walled yoga studio with an outdoor deck overlooking a peaceful garden with a Tabunoki tree at its center. The restaurant, with its vaulted and coffered ceiling, gives a sense of space and draws on the authentic Japanese ‘izakaya’ style of informal sharing. The varied micro climate of Mie Prefecture, once hailed as the breadbasket of the ancient Imperial Court, provides Amanemu with an abundance of fresh local produce including delicate fruits, an array of vegetables, and spiny lobster and abalone from nearby waters. Matsusaka, one of the most acclaimed variety of Wagyu beef in Japan originates from the region and is renowned for its high fat-to-meat ratio with characteristic marbling pattern, is also served. Based on the Japanese concept of ‘omakase’ where the chef selects dishes for his guests, a team of 12 chefs are responsible for creating the menu which changes daily based on the fresh produce available. In addition to the international wine list, a selection of sake, shochu and the finest vintage Japanese whiskey play an important role in complementing Amanemu’s culinary experience. Japan’s most sacred Shinto Shrine, Ise Grand Shrine, also known simply as Jingū, is located just one hour from Amanemu. Covering approximately 13,590 acres, Jingū is a collection of 125 Shinto shrineswhich include the two main shrines of Geku, an outdoor sanctuary shrouded in greenery, and Naiku, an inner shrine surrounded by Japanese cypress trees and located adjacent to the Uji Bridge which stretches across the Isuzu River. Amanemu can arrange private guided tours of these shrines, providing guests the opportunity to experience Okagura, a traditional Japanese dance offering prayers to deities. 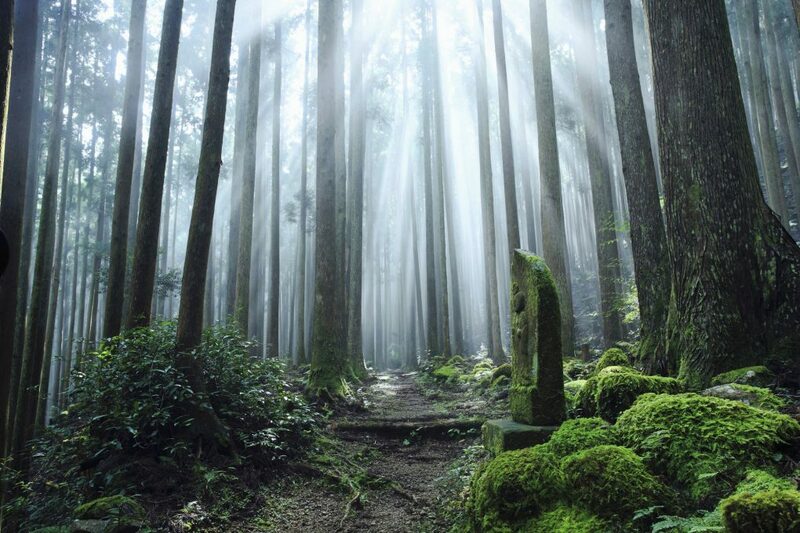 The Kumano Kodo, a series of five ancient pilgrimage routes which converge at the heart of the remote Kii Mountains in the southernmost region of Honshu, were recently named UNESCO World Heritage routes. They were hiked by Kyoto’s ancient emperors who traveled the same paths to purify themselves and pray to deities known as kami, said to be dwelling in the rocks and trees.Guests will have access to Nemu Golf Club, an 18-hole championship golf course overlooking Ago Bay. Located just a few minutes away from Amanemu and having recently been redesigned, the course represents a series of challenging holes with views of the bay in a serene setting.